Performers from Asphalt Green led dancing, jumping and gyrating from the block party stage. 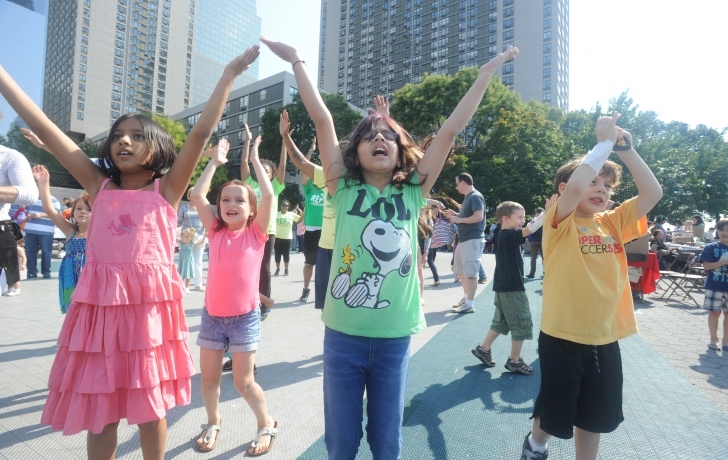 Kids (and some adults)follow the moves of a performer from Asphalt Green. 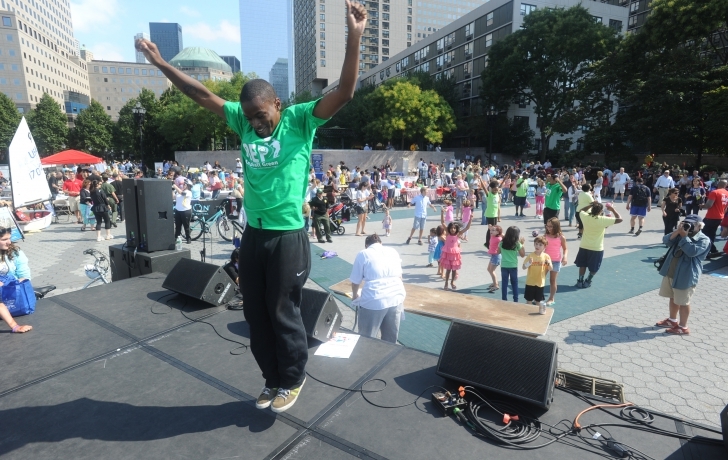 The upper level of the plaza was filled with fun places to play, sponsored by Manhattan Youth. Mike Cavataio, representing a party planning service, one of more than 60 businesses and organizations at the party. 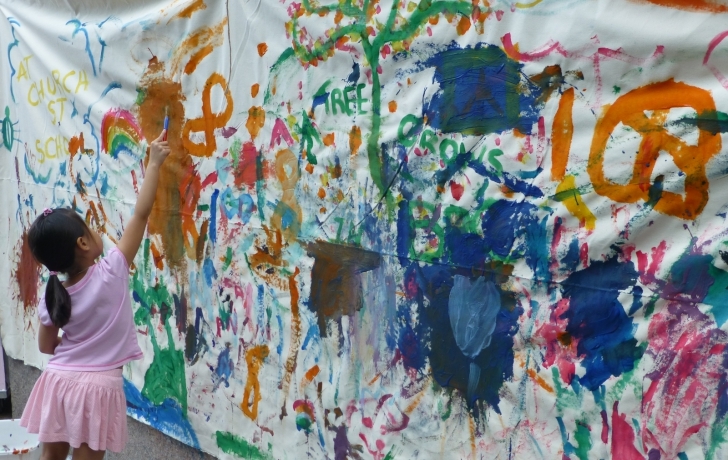 Church Street School for Music and Art provided a very large "canvas" for children to add color touches of their own. “I thought last year was big. 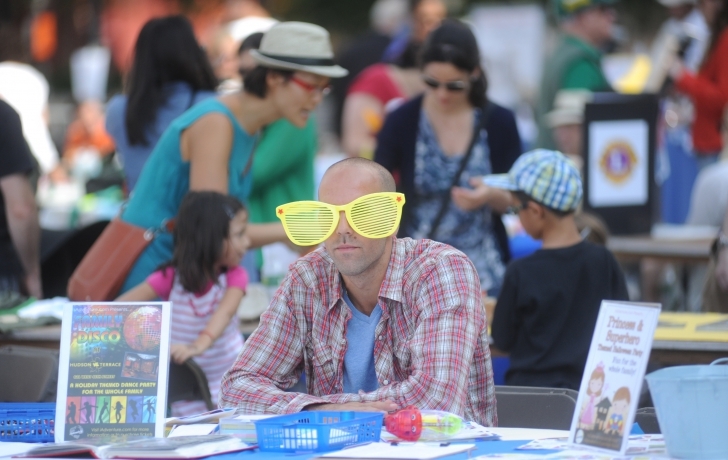 This year is bigger,” said Anthony Notaro, standing amid the swirl of activity at the 11th annual Battery Park City Block Party last month. Notaro and Rosalie Joseph, the duo that has put on the ever-expanding event from the beginning, swore that the 10th year would be their last. As it turned out, they managed to recruit more volunteers, but remained in charge. “We were able to give a lot of guidance and support,” Joseph said. 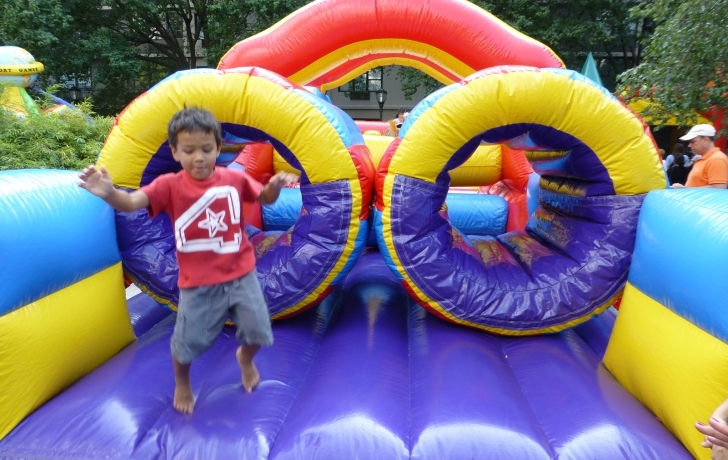 And it paid off, with new activities such as boat rides and wine tastings, plus awards to community leader Kathleen Gupte and dance teacher Elizabeth Flores and more vendors and organizations participating than ever.